Three explosions. No pompiers in sight. Oh, here they come. Too late. I've been to Notre Dame Cathedral, not inside but just outside, and it's an impressive structure. Sad to see such an historic structure destroyed. I posted by mistake here. I was in a hurry, and as you would think given that I would likely have been inside that building in a few weeks, I was somewhat distracted. No bombs. 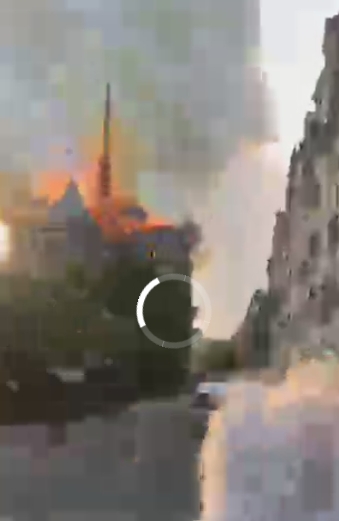 The most plausible cause right now is that the wooden spire was undergoing extensive renovation inside a huge scaffold, and something that shouldn't have caught fire, caught fire. The roof was clad in some kind of metal, but they'd waited too long to restore it, and a lot of the wood was exposed. That's all we know.